Insulin resistance is generally taken to mean as a reduced ability of insulin to stimulate glucose transport and utilization. It is a major problem associated with type 2 diabetes mellitus (non-insulin-dependent diabetes mellitus) and is increasing rapidly worldwide. As least one-in-ten people today are destined, on current trends, to develop diabetes at some point during their lifetime. The total number of individuals with diabetes worldwide is scheduled to double in a generation. It is not however well known that insulin resistance also increases the risk of cardiovascular disease. The progress in molecular biology, genetics, epidemiology and in clinical applications notwithstanding, much more needs to be done. It will be of great importance to identify the molecular mechanisms of insulin resistance and establish most effective combinatorial therapies. 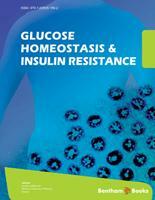 The book entitled “Glucose homeostasis and insulin resistance” edited by dr. Leszek Szablewski provides a broad overview of the molecular, biochemical, and clinical aspects of glucose metabolism and insulin resistance. The chapters will make the reader acquainted with a variety of topics ranging from glucose metabolism and glucose transporters, the hormonal regulation of glucose homeostasis, to insulin resistance and characterization of novel pharmacological approaches on emerging targets for the treatment of diabetes. The non-pharmacological modes of therapy, physical exercise, diet, and weight loss are also included. The World Health Organization has defined type 2 diabetes mellitus, a progressive worldwide epidemic. The number of people diagnosed with type 2 diabetes is increasing at an alarming rate in the western societies. The statistics are alarming; 30 million people were diagnosed with diabetes world-wide in 1985. By 1995, the number had risen to 135 million. It has been estimated that by 2010, 220 million people worldwide will be affected by the disease, and at the current rate, there will be some 300 million by the year 2025 as predicted by the WHO. The prevalence of all forms of diabetes is estimated to be 2 – 3% of the world’s population, with the number of diabetic patients increasing by 4 – 5% per annum. Moreover, many people with diabetes remain undiagnosed. The recent and dramatic increase in the prevalence of diabetes can be attributed to several factors. Diabetes has shadowed the spread of the so-called “modern western lifestyle”. The westernized high caloric diet (including sucrose, fructose and high saturated fats) has a strong influence on the disturbance of the normal glucose and lipid metabolism leading to the progression of obesity. On the other hand, obesity is strongly associated with type 2 diabetes. It is notable that obesity is present in approximately 80 – 90% of diabetic patients. Obesity also exacerbates the metabolic abnormalities linked to type 2 diabetes, particularly hyperglycemia, hyperlipidemia and hypertension. Diabetes is currently the fifth leading cause of death in the United States. Approximately 95% of all patients with diabetes have type 2 disease. Type 2 diabetes is the clinical manifestation of long-term metabolic abnormalities involving multiple organs and hormonal pathways that impair the body’s ability to maintain glucose homeostasis. This type of diabetes is characterized by impaired insulin secretion from pancreatic β-cells and increased insulin resistance in peripheral tissues resulting in hyperglycemia. Type 2 diabetes mellitus results when insulin secretion by the endocrine pancreas fails to compense for insulin resistance in peripheral tissues. Once type 2 diabetes mellitus has been diagnosed, β- cell function is reduced by up to 50%. Prolonged elevation of blood glucose concentrations causes a number of complications like blindness, renal failure, cardiac and peripheral vascular disease, neuropathy, foot ulcers, and limb amputation. Vascular complications represent the leading cause of mortality and morbidity in diabetic patients. Approximately, 65% of deaths among diabetic patients are due to cardiovascular and cerebrovascular diseases, including myocardial ischemia and stroke. Further derivations are given in Appendices A to G for Chapters 2, 8 and 11.